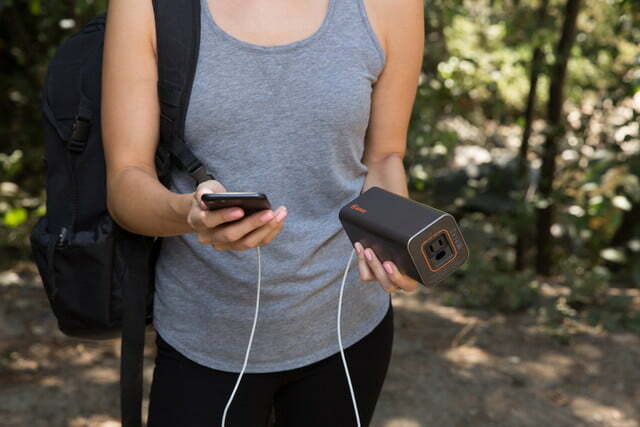 Mobile power source manufacturer Jackery has given outdoor enthusiasts and frequent travelers a new weapon in the never-ending battle to keep their electronic devices charged while on the go. The company has just launched a crowdfunding campaign for its latest battery pack, which promises to deliver plenty of power — along with a wide array of charging ports — in a rugged, compact package. Best of all, the new charger also includes a standard AC wall outlet, greatly extending its functionality as a portable power station. With its massive 20,800mAh battery, the Jackery PowerBar has enough capacity to recharge most smartphones anywhere from five to 10 times, or a tablet as many as four times. Its built-in AC outlet even allows it to fully power up a 13.3-inch MacBook Pro or Microsoft Surface Pro 4 without ever plugging them into an actual wall outlet. The device will also charge drones, cameras, headlamps, GPS units, or just about anything else with a rechargeable battery as well. 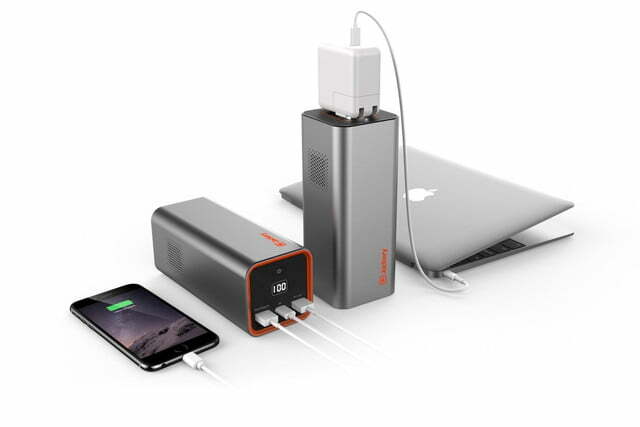 In addition to its AC outlet, the PowerBar is equipped with a standard USB, a USB 3.0, and a USB-C port, allowing it to charge as many as four devices at the same time. And since it uses smart charging circuitry, the battery pack can automatically sense the amount of power a device requires and supply it with optimal voltage levels. This helps to prevent overcharging, which can cause damage to electronic gadgets. Other nice touches include a digital screen that accurately displays the percentage of battery life that the PowerBar has at any given time, and an included USB-C charger for keeping the device charged while on the road. Similar products that we’ve seen recently used a proprietary adapter instead, forcing travelers to carry an additional item with them when leaving home. 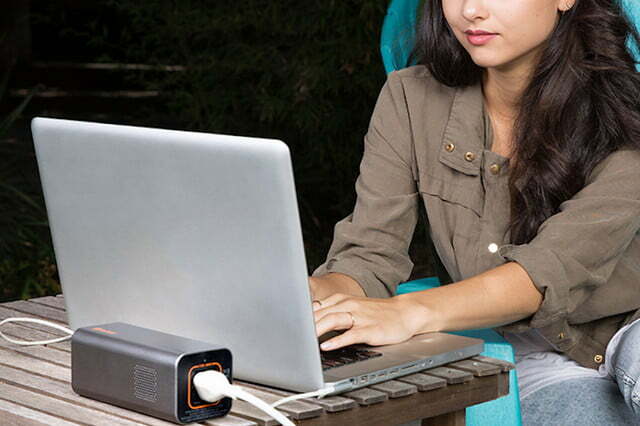 The PowerBar is even compatible with Jackery’s solar panel, allowing it to be recharged while off the grid, too. Here at Digital Trends we’ve gotten our hands on a preproduction model of the PowerBar and can attest to how well made it is. The product feels incredibly solid in your hands and is built to withstand plenty of abuse. 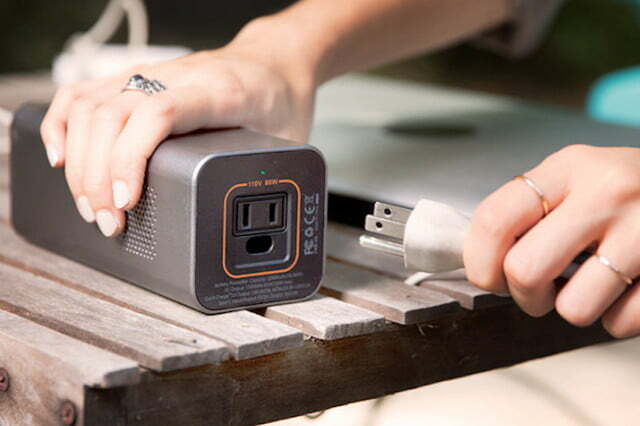 The built-in AC outlet makes it larger than most other battery packs, though, and it tips the scales at 1.5 pounds. 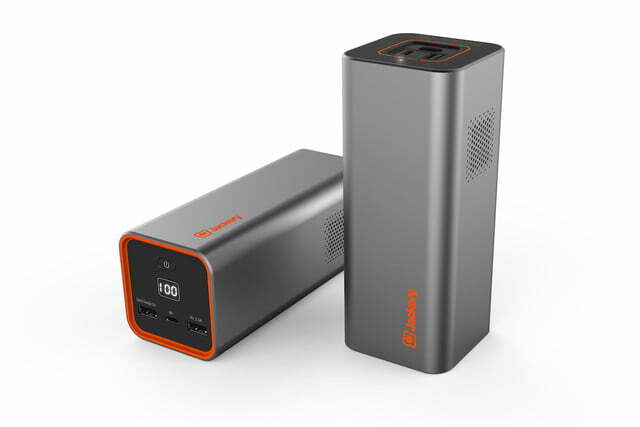 That might make it a tough sell for those who like to travel extremely light, but for those who require plenty of mobile power, it is probably worth the additional ounces. Jackery is hoping to raise $50,000 to get the PowerBar into production, and if successful, it should begin shipping in November. It is expected to sell for $199, although early bird backers can pre-order one now at a substantial discount. Find out more on its Indiegogo page.